As always, cheese first! 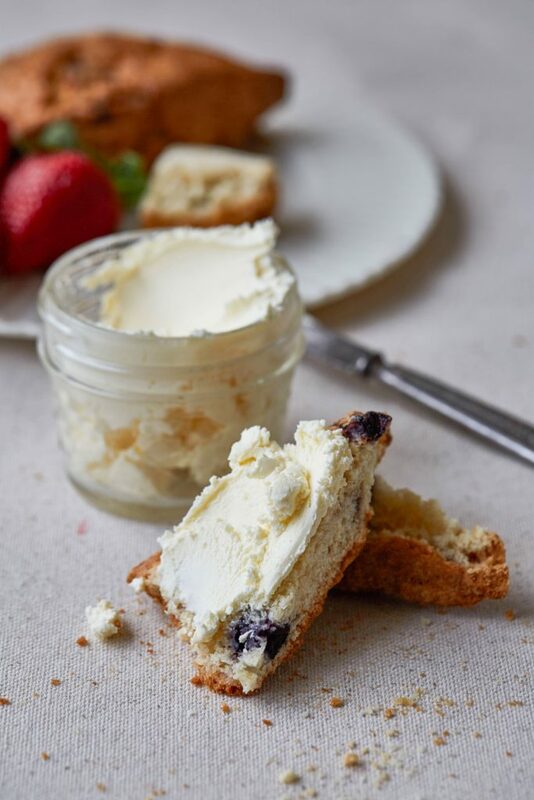 When it comes to creating a delectable spread fit for English tea, we favor bright, creamy bloomies and soft, spreadable cheeses that pair perfectly with a crunchy biscuit or scone. One of our favorites textured treats? Murray’s La Tur, a gorgeous wrinkly round containing a delightfully gooey mix of cow, goat, and sheep’s milk. 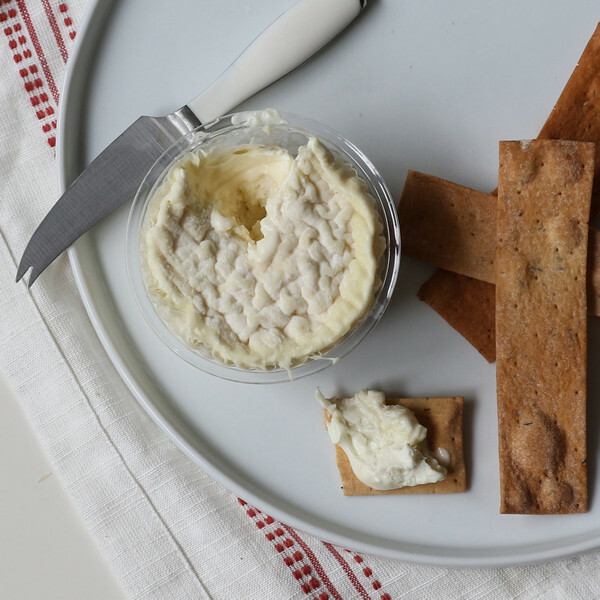 Lactic, tangy, and slightly earthy, we love spreading this ice cream-like cheese on a rustic cracker with a drizzle of something sweet. Speaking of sweet toppings, we’ve got more than a few pantry staples that make tea time serving a breeze, including the quintessential British accompaniment: clotted cream. Light as air and mouthwateringly buttery, our clotted cream is cool and sweet, with the delightful essence of fresh whipped cream. As the name suggests, clotted cream is made by indirectly heating full-cream cow’s milk and leaving it to cool slowly, during which the cream forms the “clots” that give it its distinctive texture. Bright and milky, this traditional English treat is best enjoyed on top of a warm scone or biscuit. From clots to curds, we’ve got it all–our Serramel Lemon Curd from Portugal is a delectably sweet and spreadable bite of citrus that’s guaranteed to brighten up any snack . With elements of tart citrus and creamy custard, it makes an undeniably versatile topping, perfect for spreading over a thick biscuit or a crumbly chunk of cheddar. One biscuit we can’t get enough of? Rustic Bakery Pecan Shortbread. Distinctly buttery, with a balanced combination of rich cream, butter, sugar, and Del Valle New Mexico organic pecans, these shortbread cookies are crafted by hand with organic and all-natural ingredients. 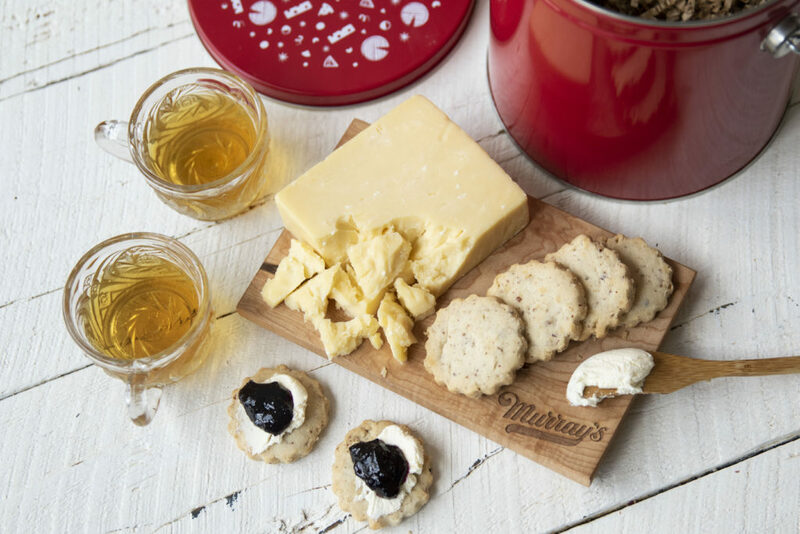 Sophisticated yet subtle, these sweet treats stand out on a cheese board or tea time spread on their own, and they positively wow when paired with a soft triple creme and a hearty helping of fruit or caramel. Want Murray’s to take the lead on tea time entertaining? 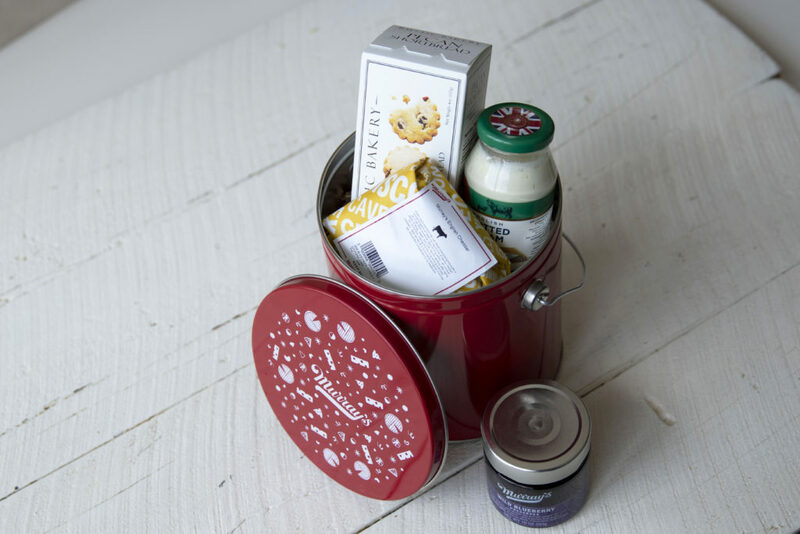 Check out our Tea Time Tin, a mouthwatering collection inspired by quintessential British tea snacks and a few Murray’s classics, like our Aged English Cheddar and Wild Blueberries Preserves. Just put on the kettle and you’ll be ready to go!